I am a 56-year-old toddler in this country. To start learning things from the beginning when you are in your fifties is both a great challenge and a fantastic privilege. But sometimes I do draw on my abundant pre-packed experiences. For example, my experience in collecting and telling human stories. I’ve been doing this since 2011 when I lived in Moscow and edited a lifestyle magazine as my day job. In my parallel life as an artist filmmaker, I (together with Elena Michailowska) filmed more than 50 interviews with former Soviets who agreed to share their memories of three days in August 1991 and turned them into an interactive online documentary. People remembered those days because of the attempted coup d’état that brought the USSR, and with it the communist era, to collapse. This was my first oral history project and it led me to discover that the most powerful stories are first person narrations. Even in an era of big data, we are still human. Statistics can be impressive but to make things understandable, we sometimes need to reduce them to a single example. I found myself finishing that five-year project living in London. By that time, it had become impossible to imagine it being presented in Russia, which had annexed Crimea, invaded Eastern Ukraine, and become home to rising aggression, hate and toxicity. Instead, we marked the 25th anniversary of the end of the Soviet empire with an exhibition, a screening and a public panel discussion at Rich Mix in London. By then, I had decided to turn my attention to the stories of underrepresented communities. 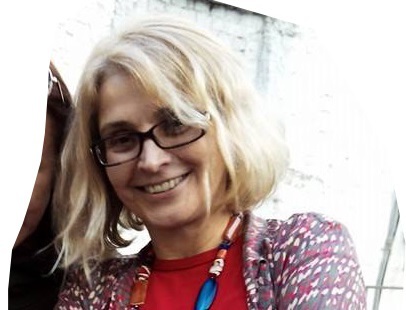 Elena and I decided to develop the concept of “giving voices to voiceless, assembling collective voice and amplifying individual voices through use of interactive technologies”. 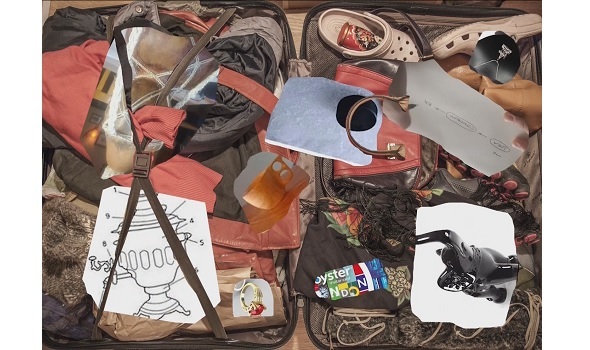 All ordinary people, including many migrants, are underrepresented and we sought to change that, partly through the 9 objects project (you can read more about that here). My most recent project is a manifestation of the concept I developed with Elena. The goal is to merge interviews with migrants living in East Finchley (north London) with the results of a project called Destination East Finchley. 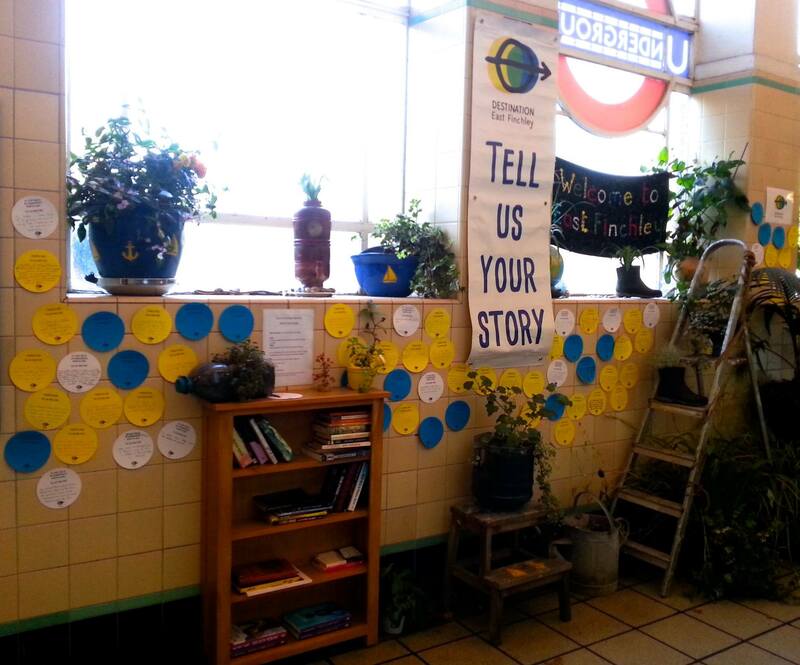 I first came across this project in 2017 when the creators staged a brilliant participatory exhibition inside the East Finchley tube station. 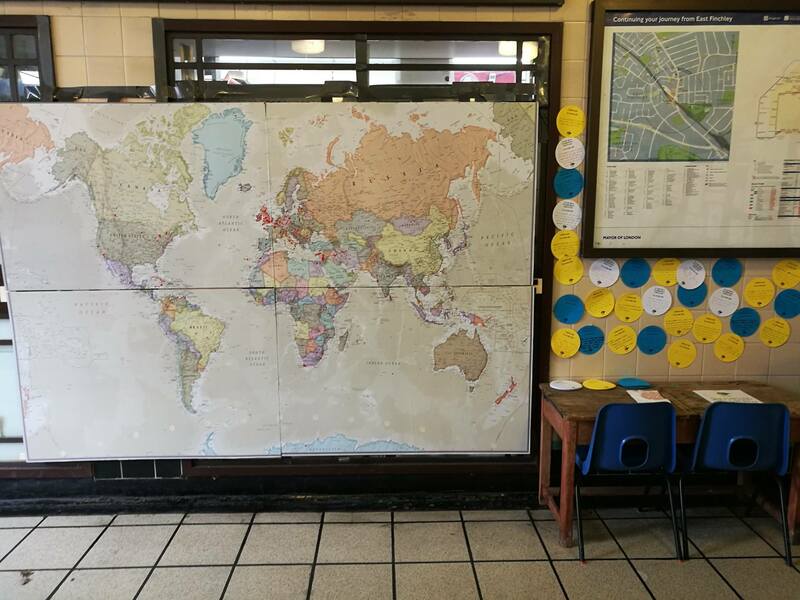 It included a huge wall map where one could tack a red dot to mark his or her country of origin. Members of the public were also asked to write down a few sentences describing their family history on circular postcards and add them to a wall as an element of the exhibition. My first grandson who was three years old then, loved to tack a red dot on the Antarctic - according to his height - every time we passed the map with him. I was also feeling like a curious toddler at the time, interested in social mechanisms and how they function in the West. I had already been exploring this through working with a few communities and grassroots organisations such as the local Hope Not Hate group. At a street event in East Finchley in early 2018 celebrating the contribution of migrants to the UK, I bumped into the organisers of that tube station exhibition. When I discovered it was part of a huge multidisciplinary project – Destination East Finchley – run by the local Martin Primary School, I offered to contribute using my beloved online interactive storytelling approach. We started collaborating and I plan to soon upload an interactive digital archive of the project to my online platform for the collection of human stories, beheard.art. The interviews of local migrants were conducted by their children who attend Martin Primary School. I’m now merging a number of these interviews with the items from the exhibition, including the world map, and poetry and artworks created by the children as part of the project’s activities. Some of the children are also rehearsing a song and will soon record a soundtrack. The theme of migration is one of the most moving for me. It’s also a personal one, and this project allows me to give voice to myself as a migrant, as well as to those being interviewed. It is my message to the world and the process has supported me, as a newcomer to this country, helping me to rebuild my confidence.